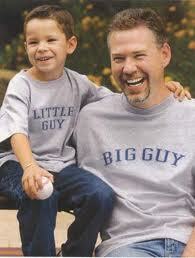 When spending special time with a son, dads can try activities based on the child’s interests, not just his own. This allows the son to be the expert who can explain a new skill to an eager audience. The sense of power, competence and confidence a child feels when helping a parent learn something is immense. It also lets the child see his father strive. In watching Dad learn, your son is learning how to face struggle or failure, how to practice something new and how to demonstrate the fortitude and perseverance necessary for success. See our post on Follow His Lead. Offer Support. When your son knows you are truly interested in learning his passion, he will open up in new ways. Use the opportunity to talk about his friends, school struggles or other worries. Leave us your comments. Your feedback is greatly appreciated. Let us know what other topics you would like to have discussed. Share this post with your family and friends. Always praise your children. Tags: Bone Building Bonanza, child, child development, children, childs development, childs future, CP GLOBAL SOLUTIONS INC. Double leg hop. Place five throw pillows or for younger kids, empty paper towel rolls in a row, with space between each. Have your child hop over the objects, keeping their legs shoulder width apart. Frog leap. Have your child squat down (like a frog) with their bottom toward the ground and knees out. Then have him leap up into the air and land in the crouched position. Do this up to 10 times. Single leg hop to the side. Stand with both legs shoulder width apart. Lift the left leg (so only the right leg is touching the floor) and hop to the right side. Reverse legs. Complete five reps on each side. You can even set up a hopscotch board for this so they can do side jumps and forward jumps. See more bone building exercises for young children. Leave us your comments. Your feedback is greatly appreciated. Let us know what other topics you would like to have discussed. Share this post with your family and friends. Yes, dietary calcium is essential to bone growth for kids. But so is weight bearing exercise. These workout ideas are well suited to a child’s sense of play. Start strong. First, fuel up with bone building foods. String cheese, cottage cheese, pudding or even smoothies made with frozen yogurt are great ways to add calcium to your child’s diet. Leafy green vegetables like spinach, kale and broccoli are also high in the nutrient. Once the kids have digested their snack, clear a spot in your playroom for this fun workout circuit. Jumping jacks. These will get your child’s heart rate up while providing some light impact on the bones, making it a good way to start a workout. Have younger kids count aloud to 20 jumping jacks; challenge kids older than 10 to do as many as they can in a minute. Drop hop. Have your child stand on a bottom stair and keeping legs shoulder width apart, hop down to the ground. Both feet should land at the same time and make sure they bend their knees as she hits the ground to absorb the impact. Do this 10 times. Leave us your comments. Your feedback is greatly appreciated. Let us know what other topics you would like to have discussed. Share this post with your friends. Like us, cats need exercise to keep healthy. Give yours a workout by taking advantage of her natural behavior. Share your toys. A cat’s normal movement cycle involves frequent bursts of brief activity followed by rest. To sync up with her rhythm, have your family members take turns dangling string or cat toys for her to bat at. Toss those kibbles. Cats can not resist a good chase. Entice your kitty to scamper after individual bits of dried food by sliding them across the floor. Play hard to get. Her attention is at its peak when she is hungry. Before putting your cat’s bowl down, tempt her to follow you as you take a few laps around the couch or dinner table. Try laser tag. Take advantage of her predatory nature: Use a laser pointer or mini flashlight for your cat’s “hunt” a few times daily, for three to five minutes at each time. 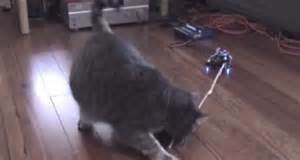 At the end of the game, be sure to toss a little toy to your kitty to give her a sense of victory. We all take extra steps during the winter to stay healthy: getting a flu shot, bundling up and watching our feet on icy sidewalks. If you have an illness your doctor can help you plan ahead. If you have asthma cold air can irritate sensitive lungs. Use you medication as directed. If it is under control you should not have any issues. Think twice before doing any outdoor activities, including shoveling. Always carry extra medicine when you are out doors. If you have diabetes you should watch what you eat and drink. Only take a portion of your favorite foods instead of a full serving. Use egg substitutes or egg whites to reduce cholesterol. Use applesauce instead of oil in baked foods. Do Children Need To Exercise? Children are always on the move. Jumping around, running and playing. That is their exercise, right? That is exercise and for the most part it is enough for any child. If you are looking for more for them to do to stay in top physical shape, there are a variety of things that they can do. Have a race with them around the house or yard. This will push their muscles more than just running around playing with their friends. While you are watching television in the evening with your children, during the commercial breaks do a set of push-ups or sit-ups with them. 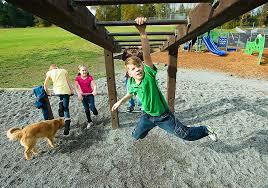 This will also work muscles that they don’t generally use while just playing with their friends.